While the susceptibility to infection with blood protozoa, particularly Plasmodium spp. and Leucocytozoon, of a wide range of species of penguins held in captivity is well established, the parasitism of penguins in the wild has been less studied. It appears, however, that free-living penguins from temperate locations exhibit infrequent parasitism, with the exception of Spheniscus demersus in Southern Africa in which infection with Babesia peircei is endemic, while the few available reports suggest that Antarctic and sub-antarctic species exhibit a generalised absence of blood-borne parasites. We have extended these studies by examining 194 thin blood smears for blood protozoa obtained from 4 species of free-living penguins from 5 sites, and have detected no blood parasites in penguins from either Antarctic (Aptenodytes forsteri, Pygoscelis adeliae) or temperate (Eudyptulaminor, Spheniscus humboldti) locations. 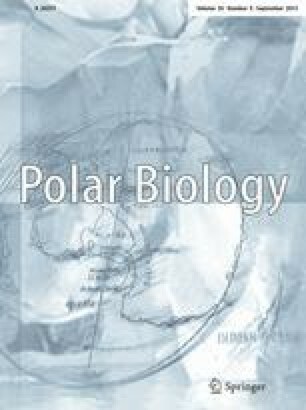 We discuss the possible reasons for the relative scarcity of blood protozoa in wild penguins, which include biting preferences or absence of suitable vectors, host specificity of the parasites, and long periods spent at sea by most penguin species, resulting in reduced opportunity for maintenance of parasite life-cycles.